As the death count grows higher – at time of writing 26 Palestinians have been killed and over 1,600 injured over the last two Fridays- Jewish Voice for Peace offers our updated statement from last Friday. March 13, 2018 – Jewish Voice for Peace is horrified by the Israeli response to the #GreatReturnMarch, in which tens of thousands of Palestinian refugees continue to march peacefully from inside Gaza. At the time of this writing, at least 26 Palestinians have been killed and over 1,600 injured over the past two weeks. As Jews across the world gathered at Passover seders this week to remember our own story as a people questing for a homeland, Jewish Voice for Peace honors and recognizes the yearning for homeland propelling the #GreatReturnMarch protests. The Israeli military has yet again unleashed disproportionate violence against Palestinians demonstrating, the latest in a long series of deadly responses to popular protests by Palestinians. The Great March of Return was explicitly planned as a peaceful march along the border of Gaza and Israel, where tent cities are erected, from Land Day on March 30 to Nakba Day on May 15. Land Day commemorates Israel’s crushing of a general strike and mass protest by Palestinian citizens of Israel. Land Day protests, like the upcoming 70th anniversary of the Nakba protests, are held annually, part of long history of palestinian mass popular resistance to Israeli aggression. 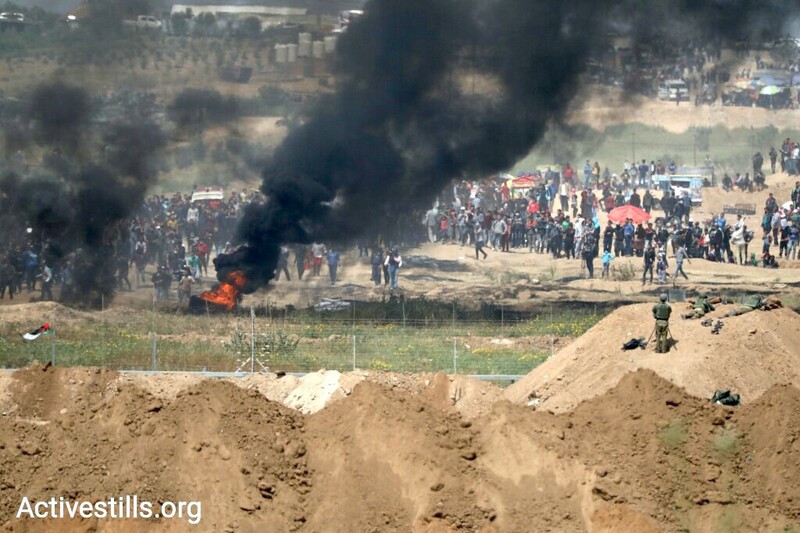 Organizers of the Great March of Return have clearly called this a nonviolent march affiliated with no political parties.